ProBox 6 dB is a two way compact speaker. In a previous magazine Klang+Ton the kit Probox with 12 dB crossover was introduced. 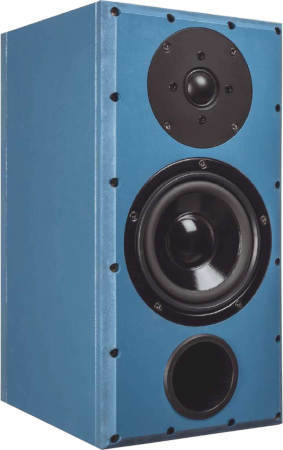 ProBox 6 dB is a bass-reflex cabinet loudspeaker with drivers of Visaton . - a first order low-pass filter (6 dB per octave slope) for the mids-woofer. The high-end kit is delivered with baked varnish air core coil for minimizing microphonic effects. - The current flow through the coil creates a magnetic field which sets the reel of wire in motion. This motion induces a voltage in the coil which adds itself to the signal. The stiffer the reel of wire is, the less the signal will be altered. The capacitors for the Visaton G 25 FFL 8 Ohm is of type polypropylen (MKP) Clarity-Cap ESA 630 V.